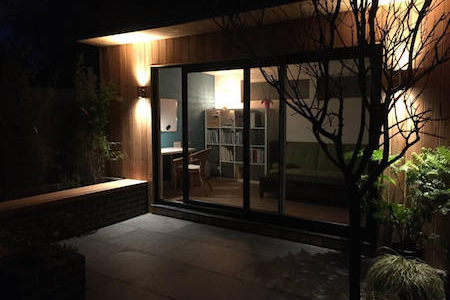 We built this Astana studio to fit precisely this terrace garden. 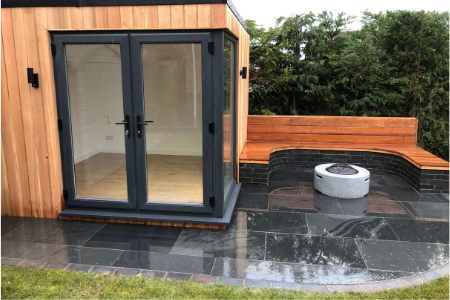 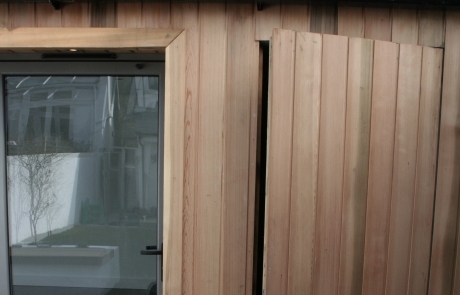 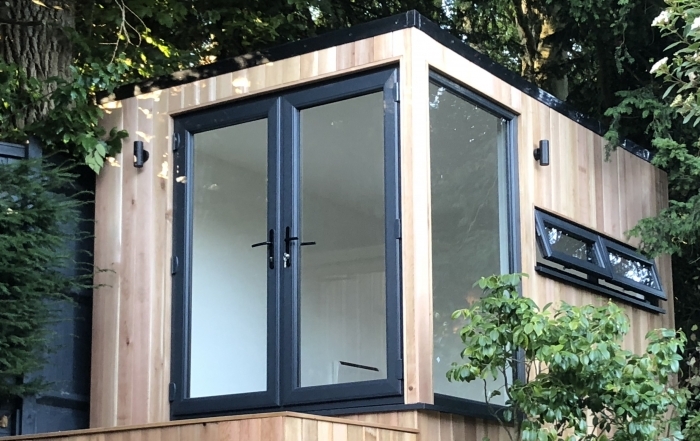 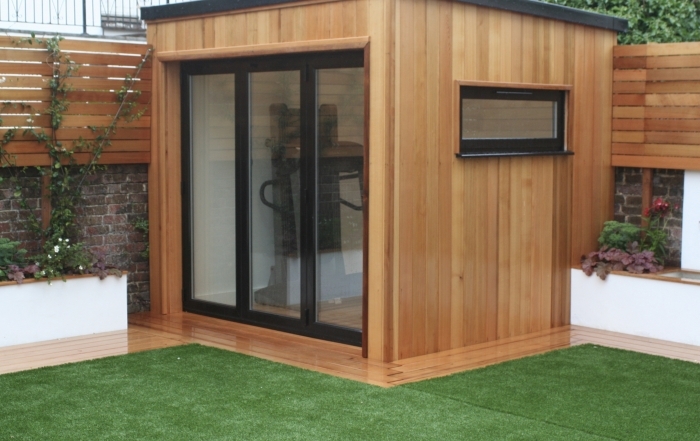 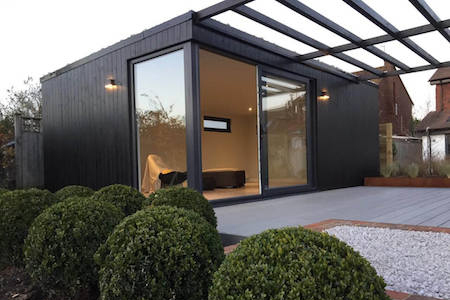 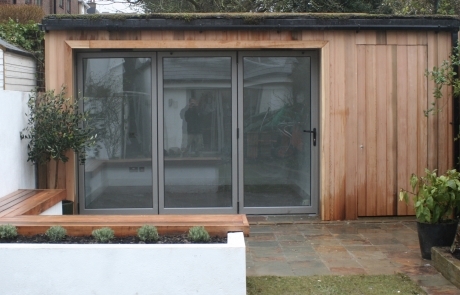 We chose bi-fold grey aluminium doors which complement the slate paving, and Balau hardwood seating above the rendered planters to match the Western red cedar cladding. 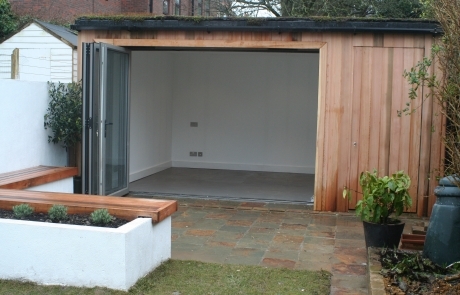 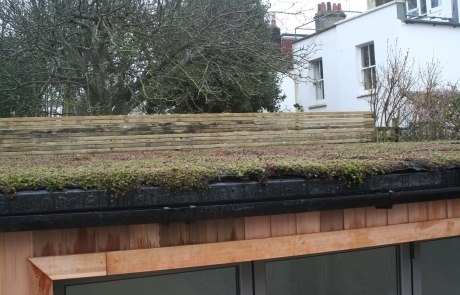 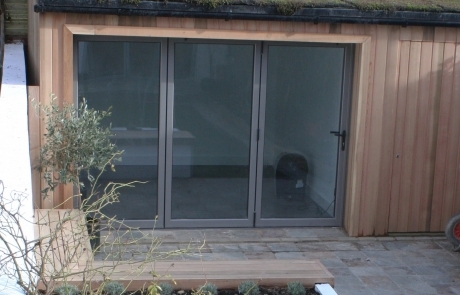 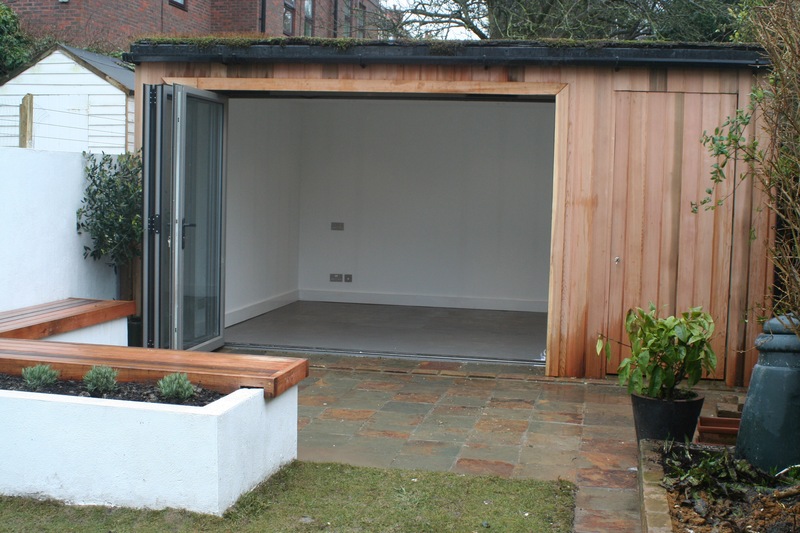 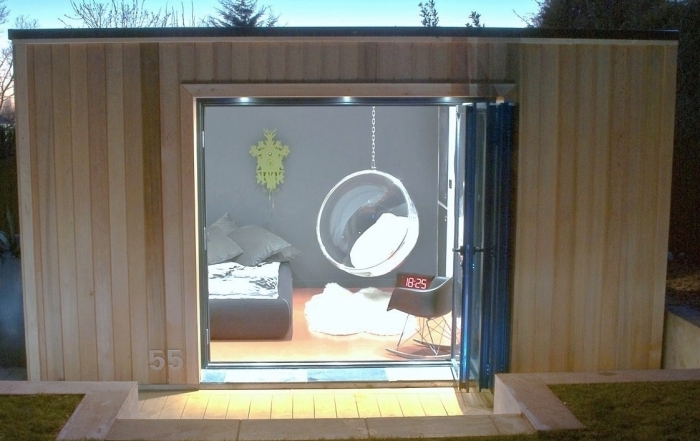 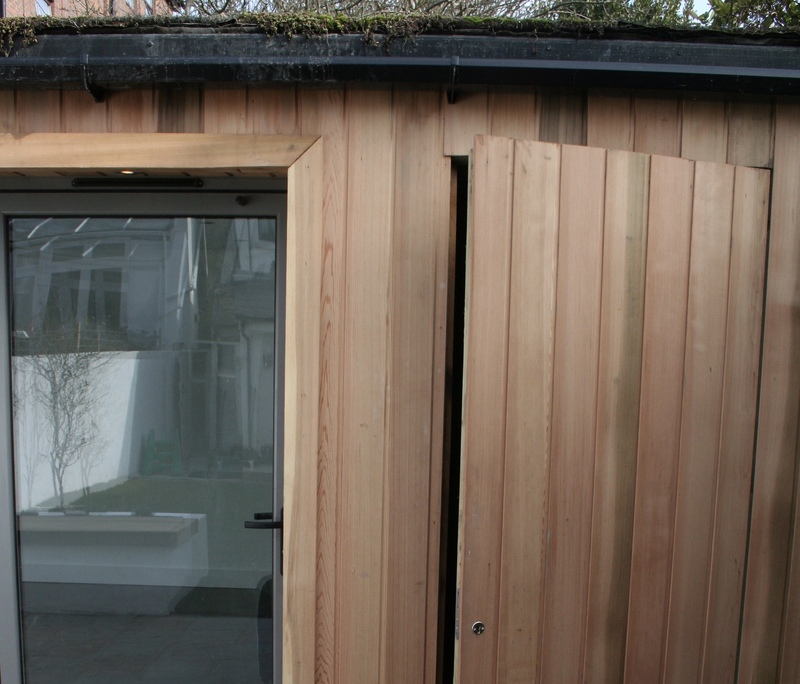 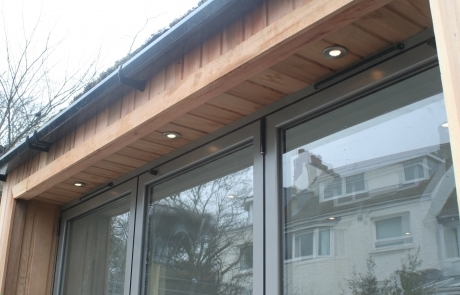 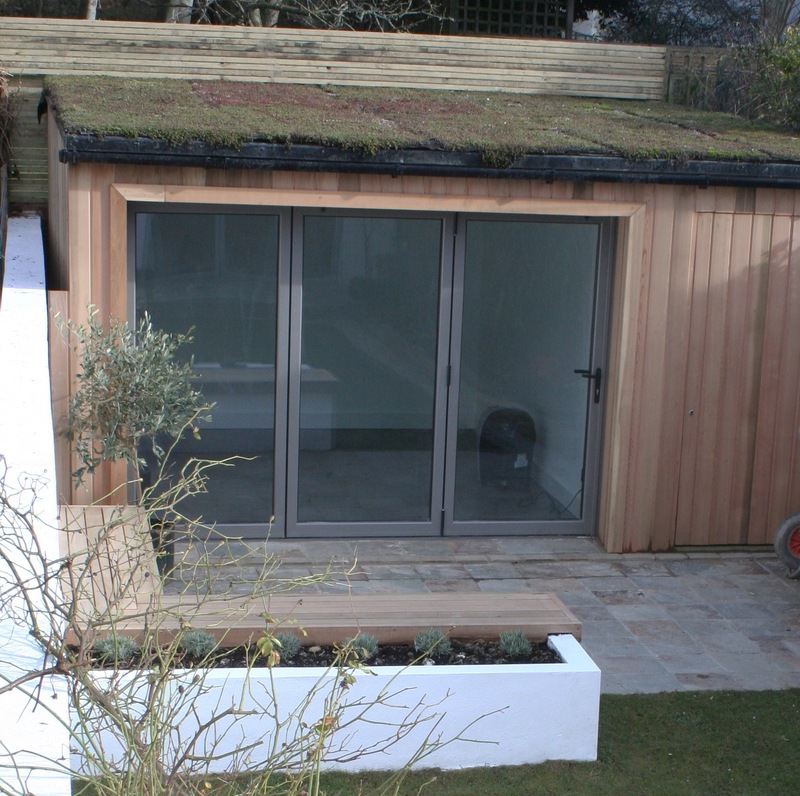 The garden room has a planted sedum roof, and includes a hidden storage area which is accessible from outside.